1. 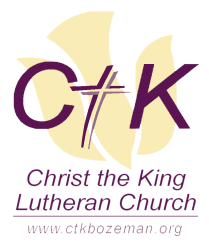 Sunday School @ CtK happens every Sunday morning at 9am, in the Upper Room, and it's GREAT this year - John Sheppard and Kristin Harney are leading a fascinating study on big questions. Bring yours! 2. Youth Group @ CtK meets on Wednesday nights, from 6:00-8:00pm, This fall's theme is relationships: Friends, Family & Falling in Love. BRING YOUR FRIENDS! (We're taking a break from "regular" Youth Group through Advent and Christmas. We'll kick off 2016 on January 6th! 4. SUMMER 2016 - CtK High School Youth will be heading out August 7th-12th, 2016, on FLBC's Seattle Servant Trip. More info coming your way soon!